"We operate a Heidelberg Windmill Platen circa 1970. The machine is an old and hungry brute that gobbles up paper and drinks ink. When we discovered him he was malnourished and rusty. With the help of some friends we have cleaned him up and continue to feed him as much paper as possible. "This is a quote from The Hungry Workshop, a design and letterpress studio in Melbourne, Australia. I'm pretty sure I want to be their summer intern. But seeing that it's their winter when it's our summer, I'm not sure the timing will work out. 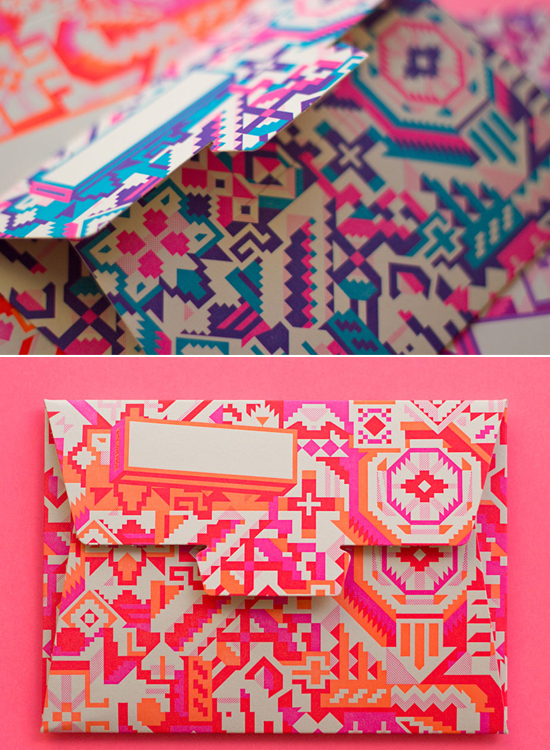 The colour and pattern in these aerograms (letter and envelope in one) is AH-MAZING.